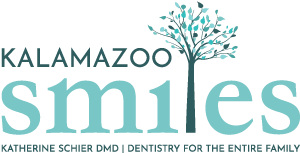 If you have any additional questions regarding our dental services, please contact us today to learn more about what Kalamazoo Smiles can help you with. For more information or to set up an appointment, visit the Kalamazoo dentist at Kalamazoo Smiles by calling (269) 353-3700. Grinding your teeth in your sleep, also known as “bruxism,” is an unconscious behavior that can cause serious consequences for your oral health. If you find you are grinding your teeth in your sleep most nights, our Kalamazoo, MI dentist can help improve your dental situation. At Kalamazoo Smiles, our Kalamazoo dentist is experienced in providing oral surgery. Our goal is to give you the most comfortable care possible. We’ll take the time to answer your questions and explain your treatment plan before your oral surgery procedure so you can feel confident that you’re in good hands. Below are a few of the procedures we offer. How even is your bite? When you close your mouth, you should feel your top and bottom teeth fitting together perfectly with even pressure across each row. If your teeth don’t quite align, you might have an uneven bite. Our Kalamazoo dentist, Dr. Katherine Schier, can modify your bite with an occlusal adjustment so that your teeth line up perfectly. If you or your child is involved in sports, you need to consider wearing a sports mouth guard. A mouth guard can protect the teeth from injury during any sport where a player might have contact with another person, a ball, sporting equipment, or the ground. Our Kalamazoo sports dentist can fit you with a custom mouth guard to set you up for success on the field. Contact us today to learn more! Sleep apnea is a medical condition that must be addressed sooner rather than later. We are here to help you manage this issue. If you’ve been diagnosed with sleep apnea, our experienced sleep apnea dentist at Kalamazoo Smiles can help. Please contact us today for information and we can help answer any questions that you may have. According to the American Association of Pediatric Dentistry, your child should have their first dental visit either within six months of developing their first tooth or by their first birthday. At Kalamazoo Smiles, our children’s dentist ishere to help you get your child’s oral health started on the right foot. When you encounter a dental emergency, the most important thing to do is to stay calm. Our Kalamazoo emergency dentist at Kalamazoo Smiles have seen their fair share of dental emergencies and can help you through the next steps towards recovery. If you have any additional questions regarding our dental emergency services, please contact us and we will be happy to help.